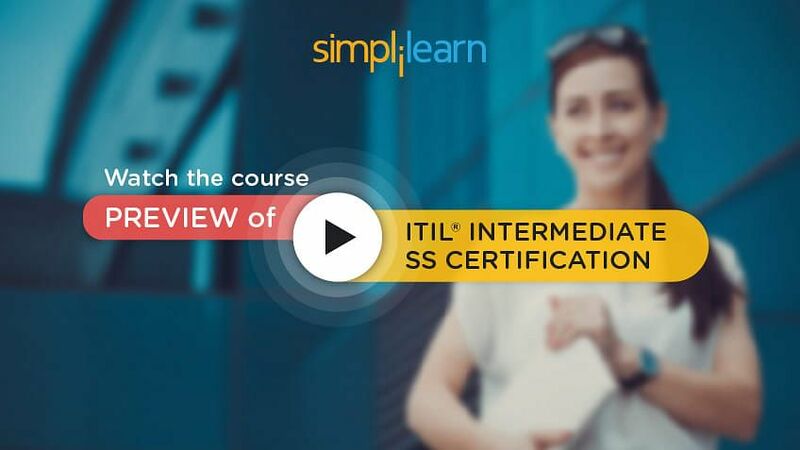 Welcome to the seventh chapter of the ITIL® Intermediate SS tutorial (part of the ITIL® Intermediate SS Certification Training). This chapter will focus on Service Strategy: Technology Considerations. It deals with details about the technology considerations while implementing the strategy. Let us go ahead and learn more about Technology Considerations. This section explains the Objectives of this learning unit. Let us go ahead and learn more about these topics in detail. Let us get started with the concept of Service Automation. Automation can have a particularly significant impact on the performance of service assets such as management, organization, people, process, knowledge, and information. Applications by themselves are a means of automation, but their performance can also be improved where they need to be shared between people and process assets. Advances in artificial intelligence, machine learning, and rich-media technologies have increased the capabilities of software-based service agents to handle a variety of tasks and interactions. Automation is considered to improve the utility and warranty of services. It may offer advantages in many areas of opportunity, including the following: The capacity of automated resources can be more easily adjusted in response to variations in demand volumes. Automated resources can handle capacity with fewer restrictions on time of access; they can, therefore, be used to serve demand across time zones and during after-hours. The next section will further explain the concept of Service Automation. Applying automation indiscriminately can create more problems or exacerbate existing ones. Simplify the service processes before automating them. By itself, simplification of processes can reduce variations in performance because there are fewer tasks and interactions for variations to enter. Simplification should not adversely affect the outcome of the process. Removal of necessary information, tasks or interactions makes the processes simpler but less useful. There are limits to simplification. Begin the analysis for automation at this limit. Clarify the flow of activities, allocation of tasks, need for information and interactions. All service agents and users should be clear about what they need to do so that the required inputs for a service transaction are available and complete. Automation itself makes the clarification easier through messaging, interactive terminals and websites. So automate, clarify, test, modify and then automate again. In self-service situations, reduce the surface area of the contact users have with the underlying systems and processes. Needless interactions with the internals of the system can introduce avoidable variation because of mental overload and slower learning curves. Simplify the interfaces so that users see the attributes needed to present demand and extract utility. Do not be in a hurry to automate tasks and interactions that are neither simple nor routine regarding inputs, resources, and outcomes. Recurring patterns are more suited for automation than less consistent and infrequent activities. Information is necessary but not sufficient for answering questions such as why certain data is the way it is and how it is likely to change in the future. Information is static. It only becomes knowledge when placed in the context of patterns and their implications. Those patterns give a high level of predictability and reliability about how the data will change over time. How does this incident affect the service? How is the business impacted? Let us look into the next section which describes the Instrumentation techniques. While data does not answer any questions, it is a vital resource. Most organizations consider this capability in the form of instrumentation. The term instrumentation describes the technologies and techniques for measuring the behaviors of infrastructure elements. Instrumentation reports actual or potential problems and provides feedback after adjustments. Most organizations already have an installed base of instrumentation monitoring infrastructure elements similar to those in the table shown here. In the next section, we will explain the characteristics of Good Service Interfaces. The design of service interfaces is critical to service management. Highly usable service interfaces are necessary for service orientation. The principles of specialization and coordination are possible because of effective interfaces between service assets and customer assets. Service interfaces are typically present at the point of utilization or service access points as shown in the Figure. Service access points are associated with one or more channels of service. User interfaces include those provided for the customer’s employees and other agents, as well as process-to-process interfaces. The service interfaces should meet the following basic requirements of warranty. They should be easily located or ubiquitous enough, or simply embedded in the immediate environment or business context, as in the case of interfaces to software applications. They should be available in forms or media that allow choice and flexibility for users. For example, there should be a choice between staffed locations and automated self-service options, and a choice between a browser and a mobile phone as access points. They should be available with enough capacity to avoid queuing or backlog when supporting concurrent use by many users. The presence of other users should not be noticeable (non-rival use). They should accommodate users with varying levels of skills, competencies, backgrounds, and disabilities. They should be simple and reliable, having only the functions required for users to tap the utility of the service. We will look into the figure in the next section describing the types of Technology Encounters – Froehle and Roth, 2004. Advances in communication technologies are having a profound effect on the manner in which service providers interact with customers. Airport kiosks, for example, have changed the interaction between airlines and their customers. Technology is not involved in the service encounter. Consulting services, for example, may be Mode A. A service encounter where only the service provider has access to the technology. For example, an airline representative who uses a terminal to check in passengers is Mode B. A service encounter where both the service provider and the customer have access to the same technology. For example, a planner in consultation with a customer can refer to ‘what if scenarios on a personal computer to illustrate capacity and availability modeling profiles. A service encounter where the service provider and the customer are not in physical proximity. Communication may be through a phone. For example, a customer who receives technical support services from a service desk is Mode D.
A service encounter where the service provider is represented entirely by technology, commonly known as self-service. For example, bank ATMs, online banking, and distance learning are Mode E.
Encounters should be designed while considering customer assets. 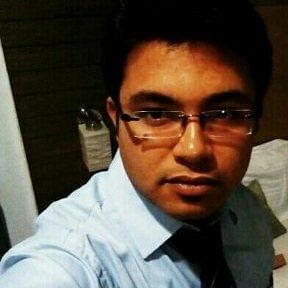 Are customer employees technical or non-technical? What are the implications of the technology encounter to the customer? What are the customer expectations and perceptions? For example, Mode E may be less effective than Modes B or C in cases where the encounter is complex or ambiguous. When the encounter is routine and explicit, as in password resets, Mode E may be preferred. Other modes may have secondary considerations. Mode D, for example, may have language or time-zone implications. The image below illustrates types of service technology encounters. Let us now discuss the Service Interfaces in the next section. Automation is used to supplement the capacity of services. Self-service channels are increasingly popular among users now accustomed to human-computer interactions, devices, and appliances. The ubiquitous channel of service delivery is the internet, with browsers acting as service access points that are widely distributed, standardized and highly familiar with constant use. Advances in artificial intelligence and speech recognition have improved the capabilities of software-based service agents in conducting a dialogue with customers. The richness of the dialogue and the complexity of the interaction continue to increase. The capacity of self-service channels has very low marginal cost, is highly scalable, does not suffer from fatigue, offers highly consistent performance and is offered on a 24/7 basis at a relatively low cost. Self-service channels are effective when appropriate knowledge and service logic is embedded into the self-service terminal. Service design should ensure that use case analysis is performed to ensure usability, efficiency, and ease of interactions through the automated interface. According to the peak-end rule, whereby the service providers recover well from service incidents, customers may actually retain a more positive perception of service quality than they had before the incident. This behavior provides justification for investment in superior service support systems, processes and staff. While the strategic intent may be to reduce the occurrence of service incidents, the tactical goal would be to recover well from service incidents that are not avoided or foreseen. The approach processes knowledge from service management processes into automated solutions such as online technical support, self-service terminals, IVR units and software applications. Users are then presented with the self-service option as the first line of support to solve the most routine of problems. It also helps to raise the level of technical knowledge of users through well-designed documentation and self-help kits. We will learn about the Tools for Service Strategy in the next section. IT organizations often exhibit counter-intuitive behavior resulting from many agents interacting over time. Long-term behavior can be surprisingly different from short-term behavior. System dynamics is a methodology for understanding and managing the complex problems of IT organizations. It offers a means to capture and model the feedback processes, stocks and flows, time delays and other sources of complexity associated with IT organizations. It is a tool for evaluating the consequences of new policies and structures before putting them into action. Just as an airline uses flight simulators to help pilots learn, system dynamics offers simulation methods and tools available to help senior managers understand their organizations. These management flight simulators, based on mathematical models and computer simulation, can deliver useful insights for decision makers faced with enormous complexity and policy resistance. Analytical models are very useful where the complexity is manageable, and there is no policy resistance or interacting feedback loops. They are effective when objectives are dear, the options are well defined, and the critical uncertainties are measurable. They are easy to develop when there is a fair amount of clarity on a problem or situation, the cause and effect relationships are clear and persistent, and patterns are recognizable. They also need enough historical information for assumptions on certain variables, such as costs, processing times and the load factors of resources. There is a range of automation tools available for analytical modeling. 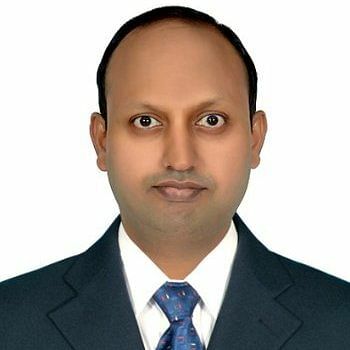 The simplest tool available is a computer spreadsheet such as MS excels with its built-in solver function. The next section summarizes the topics covered in this learning unit. Now, we have reached an end of this learning unit. With this we have come to the end of Chapter-7, let us move to the next chapter on Implementing service strategy.